Engage people walking past your office by displaying properties in your windows on animated digital displays. 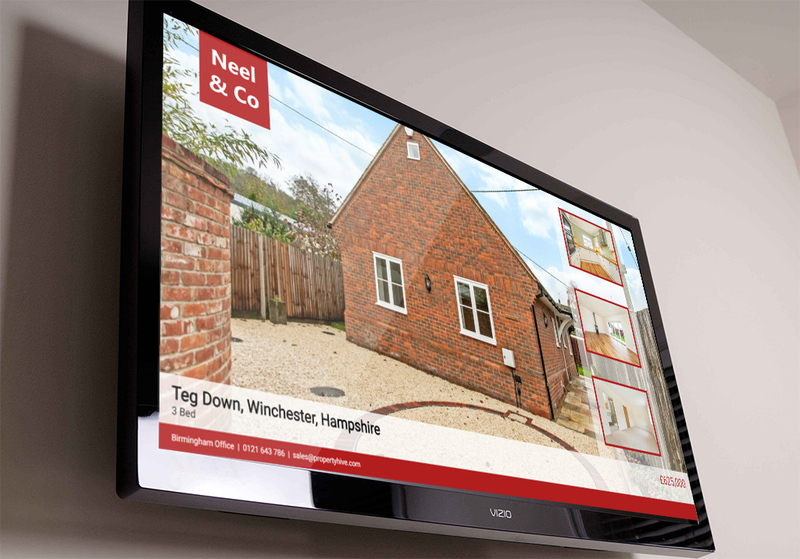 Add an animated, scrolling digital display to your estate agency office windows and catch the eye of passers by. Maximise the impact of the available window space by showing a selection of properties. The digital displays are linked directly with your WordPress website running Property Hive, meaning there is no need for additional software, or the need to enter properties in multiple places. You can be up and running in seconds. Once setup in Property Hive, simply visit the web site address presented to you on the TV in the office window. We used PropertyHive on a site recently and it met all of our needs. Plugged into the frontend easy enough and the management of properties within WordPress itself is dead simple. The developers were also easy to communicate with and more than willing to help when we had questions. We’re also using a couple of the add ons too which were simply plug-and-play. Look forward to seeing how this plugin progresses in the future. The add on comes with two readily-available layouts meaning you can get up and running right away. It’s also possible to create additional layouts yourself with a little HTML and CSS knowledge, should you wish to customise the layouts or create a completely bespoke version. Want to show sales properties in one window and lettings in another? Or maybe you want to create one display per office. This is all possible with this add on by allowing you to have multiple displays setup. Each one will have it’s own unique URL meaning you can choose which display shows which properties.